"At every night of Ramadan, an announcement is made in the skies till dawn, ‘O seeker of goodness! Complete (i.e. 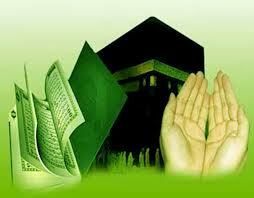 keep worshipping Allah) and rejoice, and O evil one! Give up your evil and take some lesson. Is there any seeker of forgiveness, his desire will be fulfilled? Is there anyone repenting, his repentance will be accepted? Is there anyone making Dua, his Dua will be accepted? Is there anyone who seeks anything, he will be bestowed what he wishes for?’ Each evening of Ramadan at the time of sunset, Allah Almighty frees sixty thousand sinners from Hell, and on the day of Eid, He forgives as many people as the total number of those who were freed throughout the month." Please go out in your numbers and make a sincere and dedicated effort to sight the moon. Hold firmly to this Sunnah of the Beloved Rasool Sall Allahu alaihi wa Sallam. It is mentioned in the Hadith that, one who holds firmly to a Sunnah of Rasoolullah Sall Allahu alaihi wa Sallam in times of strife, will receive the reward of 100 Shaheeds (Martyrs).